Milk thistle seeds contain a group of three compounds -- silibinin, silidianin and silicristin -- which are collectively known as silymarin. The words silymarin and milk thistle are often used interchangeably, but when discussing the medicinal properties of milk thistle, it's silymarin that is used. Silymarin has been used to treat gallbladder and liver disorders for more than 2,000 years. Milk thistle does not cleanse a fatty liver, but it can help improve liver function for those with hepatitis or cirrhosis. Fatty liver disease is closely linked to metabolic syndrome, which is characterized by obesity, excess abdominal fat, insulin resistance and high cholesterol. In addition, fatty liver may be caused by alcohol abuse, pregnancy and certain medications taken for cancer and heart disease. For most people with fatty liver disease, there are no complications or damage, but up to 25 percent of those people may experience inflammation of the liver which leads to cirrhosis, or scarring and loss of liver function. Milk thistle has been used traditionally to treat liver problems, and there is some scientific evidence that it can be an effective treatment for hepatitis caused by alcohol or viruses and for cirrhosis. However, there is no evidence that milk thistle or silymarin can cleanse a fatty liver. The best way to reverse fatty liver disease is to maintain a healthy body weight, exercise for at least 30 minutes daily most days of the week, eat a healthy diet and avoid medications, alcohol and other substances that stress your liver. 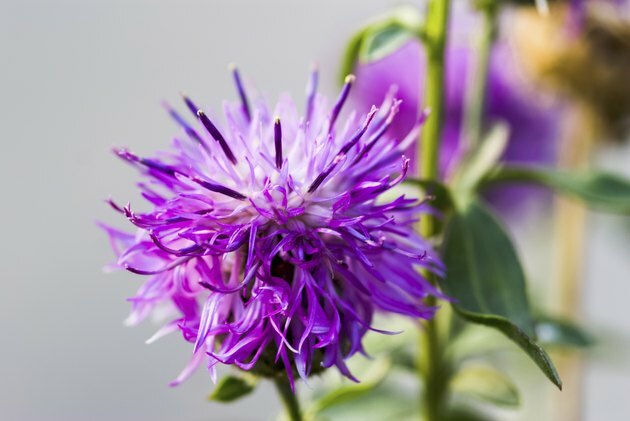 If your fatty liver disease progresses and liver function becomes compromised, then silymarin might help. Silymarin is available in capsules, liquid extract and tincture -- although if your liver damage is alcohol-related, you should avoid the tincture. Capsules of dried milk thistle, which is considered an herb, contain 120 to 140 mg of silymarin. The University of Maryland Medical Center recommends taking between 280 and 450 mg of silyamrin daily, in divided doses. Always talk to your doctor before using any herbal remedy. Keeping your glucose and insulin levels stable will help treat fatty liver and insulin resistance, a precursor to diabetes. Eat a diet rich in whole grains, fruits and vegetables; limit added sugars and saturated fats. Choose unsaturated fats such as olive oil, nuts and fish, rather than butter, beef and full-fat dairy foods. Keep your cholesterol and triglyceride levels low. Your doctor may recommend medication to help lower your cholesterol. Some medications place a burden on your liver; take only what is medically necessary.